Members of Langley Local History Society celebrating the 20th Anniversary with cake at their meeting on 10th February 2016. 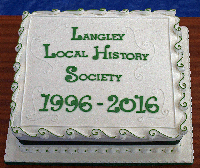 Langley Local History Society was started at Langley Library in February 1996 for members to exchange and record their reminiscences. These were published as 'Langley and Langley Green Recalled' in 1996 and 'Langley and Round About' in 1997. 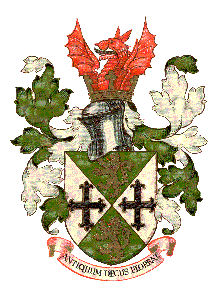 In November 2007 we launched 'The Fallen of Oldbury, Langley & Warley 1914 - 1918'. This includes details of over 550 men with an Oldbury connection who gave their lives in WW1. LLHS has bought a collection of over 200 postcards of Oldbury, Langley and Warley. In 2010 we published a selection of 50 of these cards illustrating Oldbury, Langley and Warley in the period 1900 to 1925 under the title "Just a card to say ..."
Just a few of the members of LLHS on a walk to explore the line of the Netherton Tunnel in April 2014. 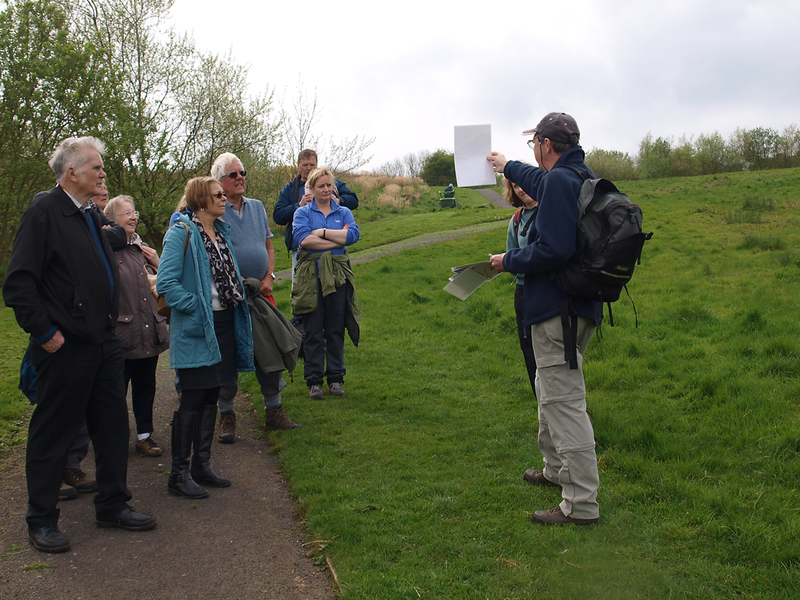 Bob Broadbent is explaining the old quarries on Darby's Hill. We look fairly friendly - why not join us? 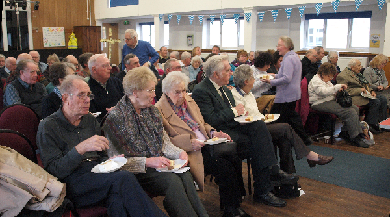 The society arranges a programme of monthly talks and visits to local historical sites. There is no charge for membership, but a charge of £1.50 for members and £2.00 for non-members is made at monthly meetings, including refreshments. All are welcome. second Wednesday of the month at 10.45 at Salvation Army Centre, Pound Road, Oldbury. Coffee is available before the meeting from 10.30.